We worked with Global Steel Buildings to create a responsive website that highlighted the company’s services and offerings. 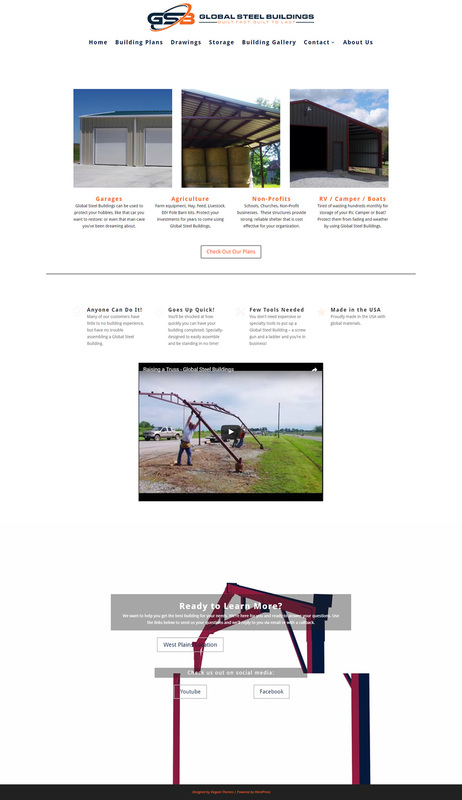 We also added more pages, videos, and call-to-action buttons to make the site more user-friendly. Global Steel Buildings is revolutionizing the way steel buildings are built in America and across the globe by offering do-it-yourself steel building kits to save clients time and money. They have been providing steel buildings for people worldwide since 2011. You can find Global Steel Buildings used for pole barns, shops, homes, warehouses, roof extensions, storage buildings, tabernacles, and so much more.